Make uP | what's the pH? One thing anyone will tell you about a Virgo is that we are loyal. I’ve been seeing the same dentist for 20 years, even though his pea green office was vomited right up out of the ‘70s. I’ve used Oil of Olay since I was a sophomore in high school and my nana told me about crow’s feet. I even wound up marrying my first “real” boyfriend. So when I find something I love, I stick with it through good and bad. From the second I was given the ok by my mom to wear makeup, I swiped her pink and green Maybelline Great Lash and went to town on my eyes. Over the years I’ve sampled other mascaras, but for the most part they would remain in my makeup bag, half used until my twice yearly clean out. On my wedding day I used the Great Lash waterproof. I even keep an extra tube in my purse in case of an eyelash emergency. Next to my Burt’s Bees, this is my desert island makeup staple. So it’s with a bit of a heavy heart that I admit to cheating on my old friend, but the fact is I think I’ve found something better. So who is this mysterious stranger, you ask? 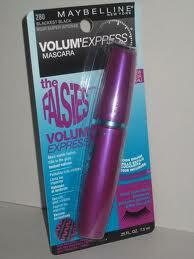 Well, it’s Maybelline “The Falsies” Volum’Express Mascara and it’s incredible stuff. While I wouldn’t go so far as to say that it looks like I’m wearing false eyelashes, my lashes are definitely long, thick and gorgeous without being clumpy or sticking together. The mascara itself doesn’t smell (yes, I’ve had issues with this before, Lash Stiletto) and is very easy to apply with the curved wand. A little Shu Uemura eyelash curler+the Falsies=huge, bright eyes. Save the money on those creepy lash extensions and shell out $7 for a tube of this magical mascara. 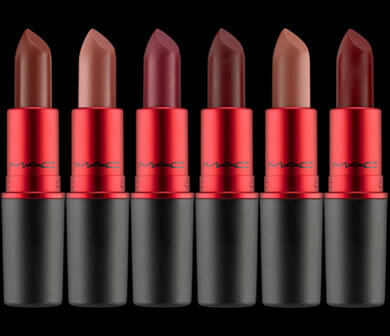 It saddens me to be unfaithful but in this case I think this could be my next long lasting relationship. From the time I was five years old, I’ve had bags under my eyes big enough to take a two-week trip. My lovely French Nana would tell me that it was a Mediterranean thing but it wasn’t until many years later when I realized that Mediterranean=Inherited from Nana. Fortunately, I’ve learned a few tricks that turn my suitcases into wallets. Good Eye Cream- At night I remove my eye makeup with baby oil on a cotton ball. The oil keeps the skin around my eyes nice and hydrated during the night. In the AM, I dab a little Phyto Contour by Yonka under my eyes and massage it in for about 30 seconds. The Phyto Contour tingles at first (similar to Noxema) but it gets rid of all swelling in the eye area, minimizing the bags. A gentle massage will increase circulation, brightening the eye area. 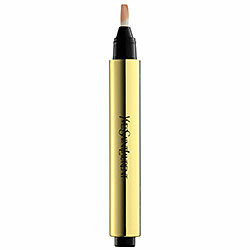 Yves St. Laurent Touche Éclat ($40 @ sephora.com)- This is an instant pick-me-up that I usually splurge on in the winter months when I’m whiter than a glass of milk with big, black circles under my eyes. A few dots blended around the eyes are all you’ll need for a completely refreshed look. 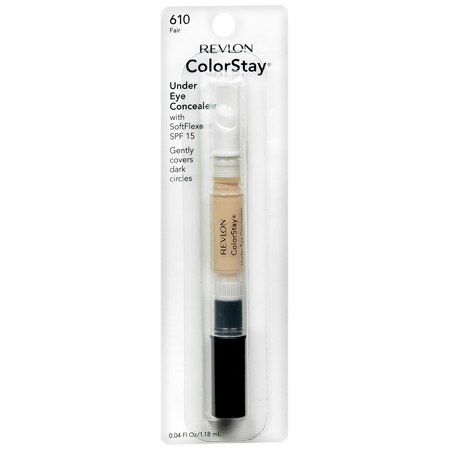 Revlon Color Stay Under Eye Concealer ($9.99)– Although I’m not a fan of the Color Stay foundations (too thick for my liking), I’m in love with the concealer. It’s extremely light, doesn’t crumble in the corners of the eyes and is a great summer alternative for the pricier YSL one. 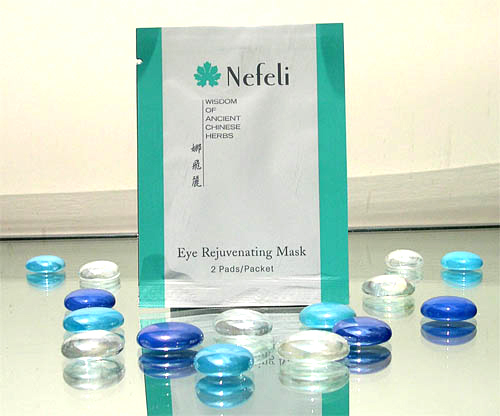 Nefeli Instant Eye Rejuvenating Mask ($65 for 3 eye masks @ nefeli.com)- The night before my wedding I slipped on a wet floor at the Cranford Hotel and landed flat on my knee. It was swollen to the size of a grapefruit, walking was agony and I cried for the better part of the night. When I woke up the next day, I looked like a monster with big puffy eyes to match my fat, puffy knee. Luckily, I had one of these masks in my medicine cabinet and in 20 minutes it erased all the crying damage from the night before. These little beauties use Chinese herbs to address urgent skin needs around the eyes such as dry sensitive skin, fine lines and wrinkles, eye puffiness and bags and/or dark circles. Although temporary, it’s like a 20 minute eye lift. My bag lady days are far from over, but at least, with the help of a few tried and true products, they’re few and far between. It may seem a bit trivial to write about nail polish but trust me, when your hands are immersed in color and water all day long, regular nail care becomes of utmost importance. I used to have beautiful, long, strong nails. Then I became a colorist and they barely grow above my fingertips and are a constant shade of…tan.